It's not, it's a modified Focus 2007 sound. Apparently the Fabia WRC they had lined up to record was sold to a new owner before they were able to get the sample so they're looking for another ATM. I hope WRC8 will be good and we have two great games to pick from - WRC7 was certainly a leap in the right direction - but the minute I believe VVV about WRC games is the minute I believe Theresa May telling me I want Brexit. They were making out WRC5 to be a good game - I'll enjoy DR2 for the next many months and check out some WRC reviews near the time. Fingers crossed we have two games to help push the genre on. D4 Spain is based on La Figuera stage in real life, DR2 is the actual stage. Same with Australian and (half of) Nambucca. Think about it... PL: Poland 'real' v 'name' Arg: Argentina 'real' v 'name' NZ: New Zealand 'real' v 'name' It wouldn't surprise me if the real roads they're based on are in Michigan - after all, each other country's official location is on the other side of the country to the actual location the stages are based off. 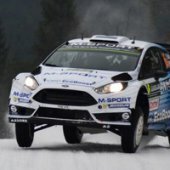 Dirt rally 2.0 Diacors channel? Does the one in my signature work? @J89 Might be worth checking your settings haven't changed - seems to be the same to me. I don’t think it guarantees all rallies will be ported over (although I hope they are) but if they were hiring the co-drivers in each language to do a day’s recording it makes sense to do notes for all stages they can just in case they want to use them in future. It was an interview with Stephane Prevot, he said he recorded 28 stages and 12 rallies - I wouldn’t read much into it, they probably got him to do the notes for all DR1 stages in case they were going to use them and he’s probably got the number mixed up between 24 and 28. I’ve no doubt it will be the same deal with Phil Mills; probably new notes too. If Greece ever returns it will be interesting to see how Jon grades that last right-hander on the top of the hill! @Riggs RBR has 24 superb stages in the base game TBF, not 10. And also, I don’t think you can necessarily discount mods from people’s enjoyment of whatever game. I played GTR2 for about 10 years precisely because it had some amazing mods and I could pick apart and rework elements of the game that I chose to. That’s part of a decision that’s been taken. If they said “we can’t have modding and also Car A, B and C” then fair enough, times have changed and people need to accept that, but when you look at how well something like AC has done using modding as a base, there’s certainly an argument for making it the other way around. I agree that people are hung up on RBR and nothing will top it for them - personally the sound is completely immersion breaking and of course the stages are much better in DR1 and 2 - but some of those points are decisions that have been made.